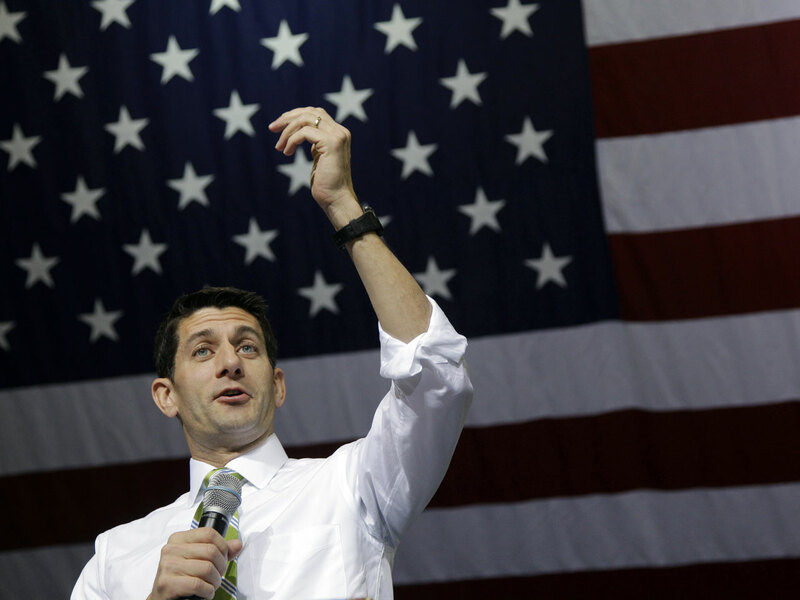 DENVER In a last-minute call to rally religious conservatives to vote, Republican vice presidential candidate Paul Ryan said Sunday night that President Obama is taking the country down a path that threatens the "Judeo-Christian" values upon which the country was founded. "It's a dangerous path, it's a path that grows government, restricts freedom and liberty, and compromises those values, those Judeo-Christian, Western civilization values that made us such a great and exceptional nation in the first place," Ryan said during an unpublicized teletown hall with members of the Faith & Freedom Coalition. "He was talking about issues like religious liberty and Obamacare -- topics he has mentioned frequently during the campaign," said Ryan campaign spokesman Michael Steel. Although Ryan does not often talk about America's past in religious terms, GOP nominee Mitt Romney said in a commencement address to Liberty University earlier this year that Judeo-Christian values are "central to America's rise to global leadership." Ryan, who frequently rails against an Obama administration requirement that Catholic-affiliated employers such as hospitals and universities include birth control coverage in their employee insurance plans, spoke about the mandate in unusually harsh and personal terms on the call. The rule -- part of the Affordable Care Act, or "Obamacare" -- was modified to require that insurance companies pay for the contraceptive coverage, but the change didn't satisfy Ryan and other critics. "That violates our first, fundamental freedom: Freedom of religion, freedom of conscience," Ryan said. "My church is suing the federal government -- Catholic churches, hospitals and charities are now suing the federal government just to maintain and preserve our religious freedoms. We should not have to sue our own government to keep our constitutionally guaranteed freedoms. But that's the way it's going with this administration."